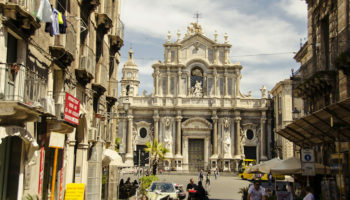 The best place to start your exploration of this amazing island is in Palermo, the bustling capital city of Sicily. 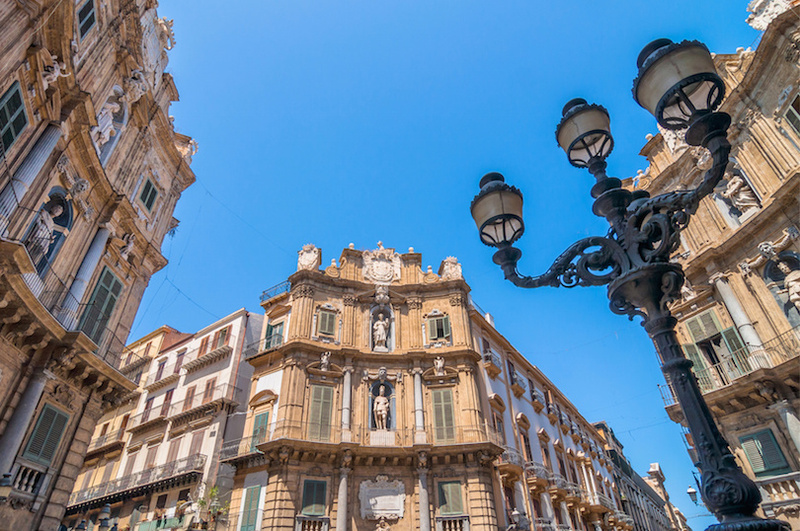 You can easily spend two days exploring this city, especially its old town center, where you will find the majority of Palermo’s attractions. 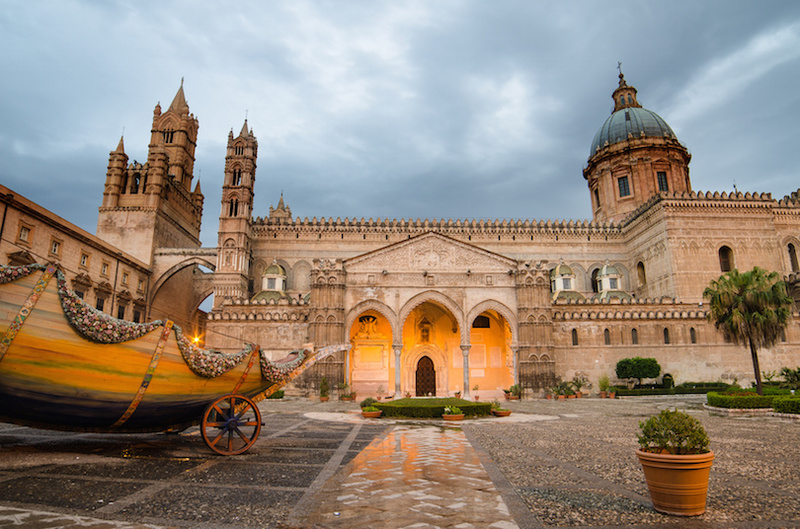 You will not want to miss the Palermo Cathedral, an impressive 12th-century Norman church encompassing a wide variety of architectural styles. Then there are the Capuchin Catacombs, where you can stroll past mummies in various states of decay. This is an interesting and macabre way to see a different side of Palermo’s history as you can view the various styles of clothing that the bodies have been buried in. As for souvenirs, Palermo’s open-air markets are a great place to go rub elbows with the locals out shopping for fresh produce and seafood or to search for local handicrafts. On your way out of Palermo, head up Monte Caputo for a stop in Monreale. 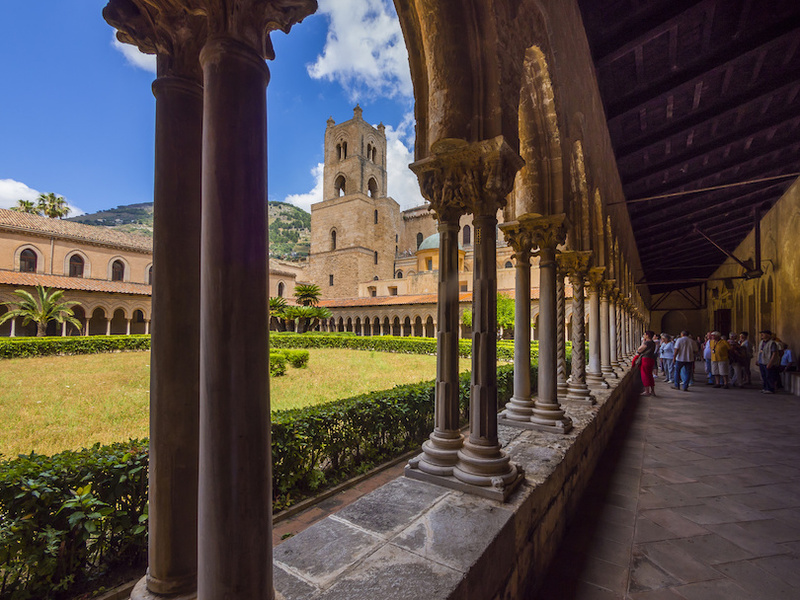 Here, you will find the magnificent Monreale Cathedral and cloisters. 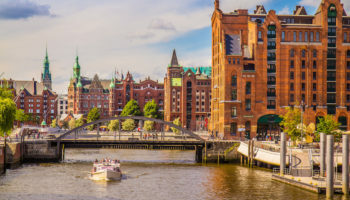 This cathedral, which was constructed between 1174 and 1185, is famous for the splendid golden mosaics that cover the interior of this building. The Monreale Cathedral is, in fact, considered by many to be the finest example of Norman architecture in Sicily. 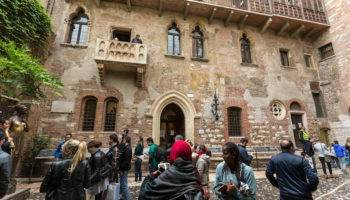 If you have the time, make sure to climb up to the roof of the cloisters, which offers magnificent views of the surrounding area and the bay of Conca d’Oro. Your next stop should be Erice, which is an ancient town that sits high atop Mount Erice and overlooks the city of Trapani and the beautiful Mediterranean Sea. 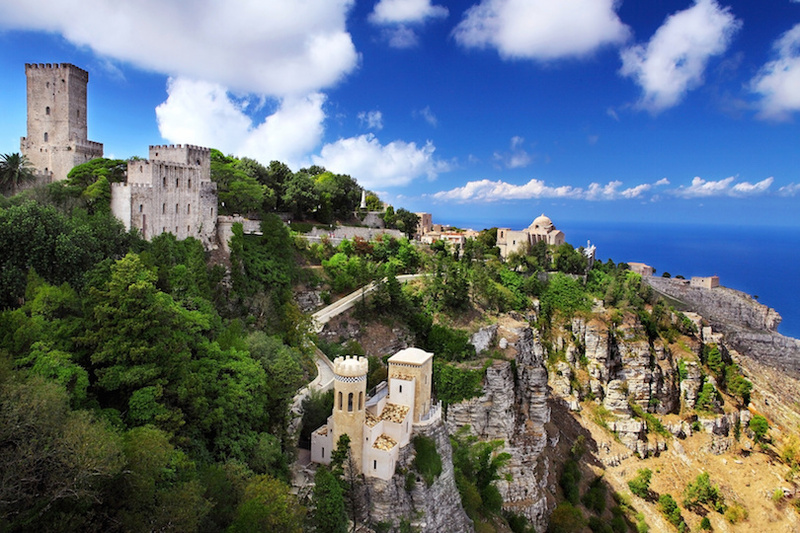 If you love medieval architecture, you’re going to absolutely love Erice, which is the site of palaces, ancient temples, fortified walls, stone streets and numerous churches. Erice is also famous for its delicious pastries and almond biscuits. It is also where you can find the shop of one of Sicily’s most famous bakers, Maria Grammatico. 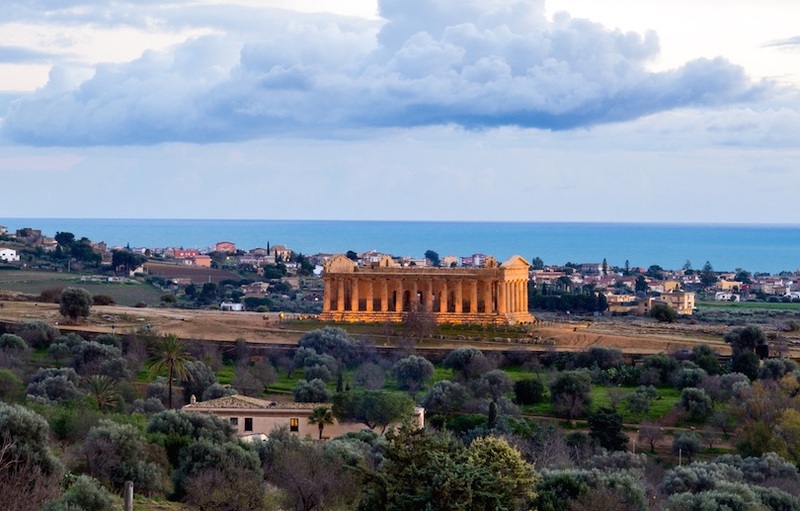 Agrigento is home to one of Sicily’s most famous and popular attractions, the Valley of the Temples. 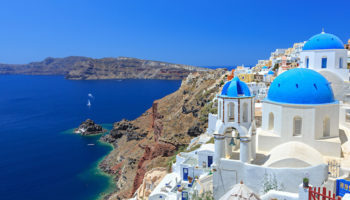 This large site contains eight ancient Greek temples that date back to approximately 510 BC and 430 BC as well as the ruins of other buildings and roads. The remains of these Doric temples are considered by many to be some of the best preserved Greek buildings in the world. Because the Valley of the Temples is so large, you should definitely devote a full day to exploring this site. And, if possible, try to leave a little time to explore the Archaeological Museum, which contains more than 5,500 artifacts. 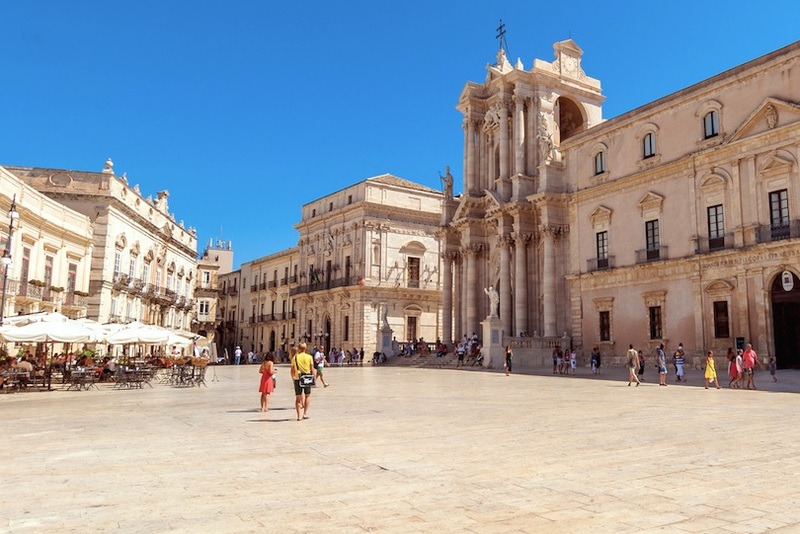 In ancient times, Siracusa (or Syracuse) was an important city that at one time or another fell under the control of many different rulers, including Greece, the Roman Republic and the Byzantine Empire. 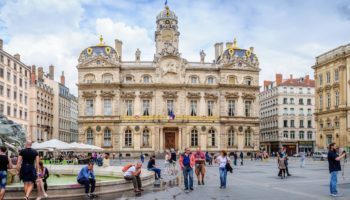 Today, this beautiful city contains many spectacular ruins from all of those empires, including the Temple of Apollo, which may be the oldest Greek temple in Sicily, a Roman amphitheater as well as a large Greek amphitheater that was carved out of rock. There are also many buildings from the medieval period in Siracusa, including the Palazzo Montalto. 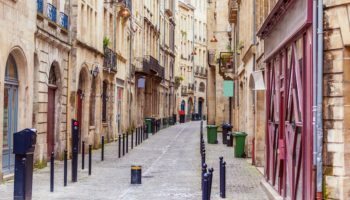 Exploring the many ancient and medieval structures in this area will easily keep you busy for two days. The next stop on your Sicily itinerary is Taormina, which is a popular resort that sits high above the Mediterranean Sea on Sicily’s east coast. This town contains numerous Greek and Roman structures. 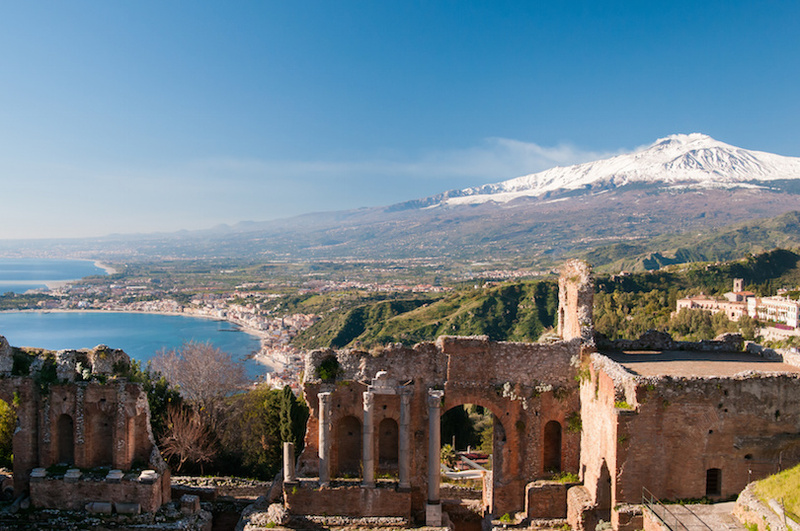 One of Taormina’s — and Sicily’s — most famous buildings is its Greek Theater, which is still in use today. This building offers guests views of both the ocean and Mt. Etna volcano. Taormina also boasts a medieval quarter. 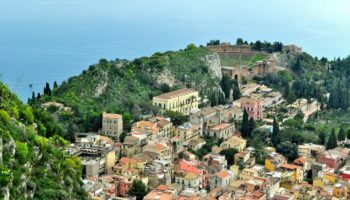 And when you’re tired of visiting ruins, you can always walk or take a cable car to one of Taormina’s beautiful beaches. 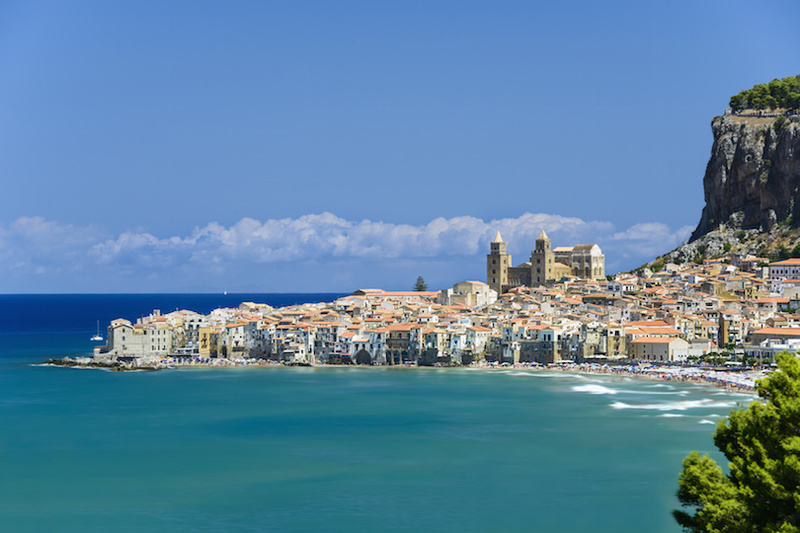 Cefalu is a popular tourist destination that is located on the Tyrrhenian Sea on Sicily’s north coast. Like many of Sicily’s other towns, Cefalu is filled with a mixture of ancient and medieval structures and influences. One of its most famous structures is its Duomo, a grand two-towered Norman Cathedral that dates back to approximately 1131. The interior of this cathedral is covered in beautiful mosaics. If you’re an active traveler, you’ll enjoy hiking up to the top of La Rocca and checking out the remains of the Cefalu Castle, which dates back to the 13th and 14th Centuries. 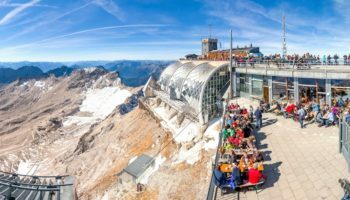 This is also an excellent place to enjoy spectacular views of the surrounding area. 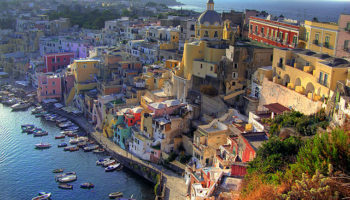 Your final stop will be a return to Palermo, where you can finish your trip to Sicily by trying the foods you might have missed on the rest of your whirlwind journey. 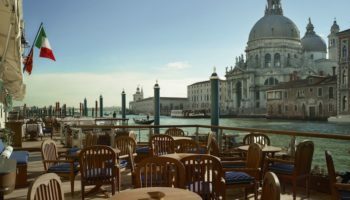 Head over to the open-air markets and try the fare offered by the street vendors, such as arancini, which are fried rice balls, or the pizza-like sfincione. 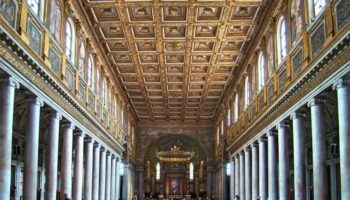 A visit to Palermo’s Regional Archaeological Museum, which contains artifacts dating from prehistoric times to the present, is arguably one of the best places to end your exploration of Sicily and to learn what has made this unique island what it is today.